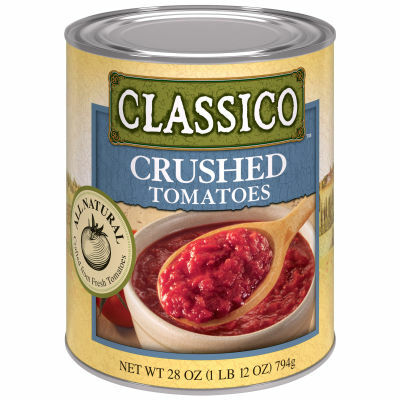 Classico Crushed Tomatoes Classico Crushed Tomatoes seals the freshness and rich flavor of tomatoes, deep red color and mouth watering aroma. These crushed tomatoes are the perfect savory combination for your most favorite delicious recipes. Optimal addition To Meal Tomatoes are real and simple addition to any meal, with these fresh crushed tomatoes it will be easy for you to cook when making soups, sauces and stews. Just open up this can stir and add tasteful amount of crushed tomatoes and give a perfect savory texture to the dish.